Xbox One S vs. Xbox One X — is the upgrade worth it? One of the biggest reasons to upgrade to a new console generation is power. Better graphics, better processing capabilities — all of it leads to bigger and better-looking games. 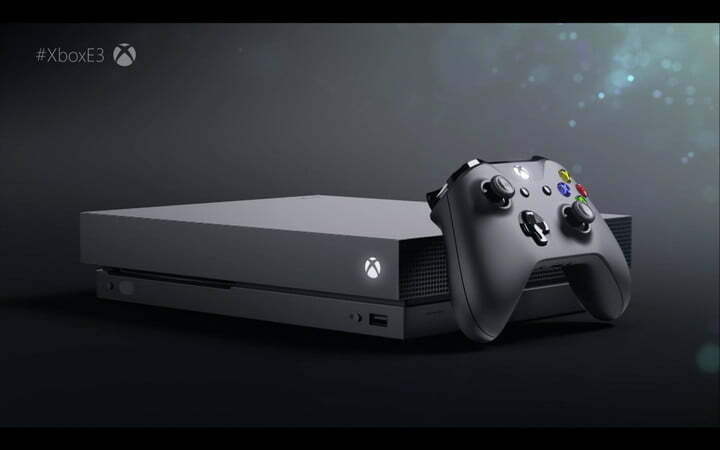 With its upcoming new version of the Xbox One, now known officially as the Xbox One X, Microsoft wants to convince you that adding more technical firepower should not be reserved for whole new generations of consoles. While the One X is a still an Xbox One, it is heftier, faster and more powerful under the hood and now with the original Xbox One no longer available to purchase, Microsoft is pushing Xbox fans young and old towards its new system. The One X is the younger sibling of both the original One and One S, with years worth of extra development and planning behind it. It should, in theory, offer substantial performance and feature improvements over its predecessor. But is it worth buying over its more affordable One S sibling? A lot of One X pre-order buyers certainly think so, but while we won’t be able to judge Xbox One X fully and fairly until we get out hands on the hardware itself and take it for a spin, we now have enough details to start having the conversation of whether you should upgrade from an Xbox One or Xbox One S to the Xbox One X.
Xbox One X’s graphics chip packs 40 compute units into a slightly slimmer footprint than the Xbox One S, where there are only 12. Those cores are also optimized for DirectX 12 and will be clocked at 1,172MHz – much higher than the Xbox One and Xbox One S. The CPU offers a roughly 30 percent increase in clock speed, so it should be a lot more powerful in its own right. 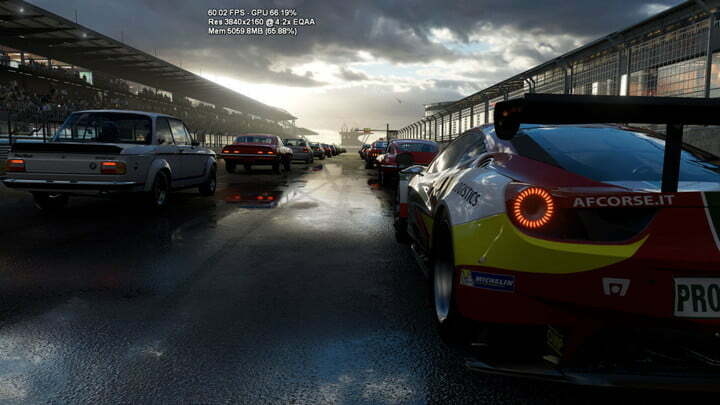 All in all, Xbox One X’s graphical performance is said to be around the six teraflop mark, which would mean it has a little less raw power than an Nvidia GTX 1070 desktop graphics card, or a little more than an AMD RX 480. That means the Xbox One X has more than 4.5 times the graphical performance of the original Xbox One. In terms of physical design, the Xbox One S cut down the size of the original Xbox One to a more svelte package, but Microsoft vastly overstated the size difference. Still, the white shell and perforated edges gave the Xbox One S a premium look that we appreciated over the bulky black Xbox One. The Xbox One X, in our brief experience, rolls back that premium feel a bit, reverting to the black box look that has defined the console line thus far. Microsoft is right that it’s the smallest Xbox yet, but it’s not dramatically smaller than the Xbox One S.
The Xbox One X will come with a full 12GB of GDDR5 memory as well, which will give developers a lot more leeway and really help the system handle 4K content. In comparison, the original Xbox One only has eight gigabytes. Although we do not have detailed specifications for it, the 1TB internal hard drive should be as much as 50 percent faster too, which should lead to faster boot times and a reduction in loading screens over previous generations of the console. All of that power is designed to drive what is considered by many to be the next big benchmark for mainstream gaming: 4K resolution. At four times the detail level of now-standard 1080P, 4K offers crisper detail and more true-to-life visuals. Considering the original Xbox One struggled at times to deliver 1080P at anything over 30 frames per second, a big part of the Xbox One X’s design is to enable ultra-HD resolution gaming at higher frame rates. Although we don’t know for sure how capable the Xbox One X is just yet, Microsoft showed off a number of games at E3 2017 that would support full 60 FPS playback at 4K. One of the big standouts was Forza Motorsport 7, but it’s far from the only one. You can find a constantly updated list of those games here. Once we spent some time with the Xbox One X at E3, we were very enthused by its performance when hooked up to a 4K TV with HDR support. The visuals were sharp, and the HDR brought intense light and murky shadows to life in a way no other console can replicate. That said, a lot of the appeal faded when hooked up to a 1080p TV without the contrast and brightness needed for HDR. That is what most people are still using for their gaming, and the Xbox One X is more likely to draw in users with a high-end setup, or who are willing to buy one. Users with older TVs may only see a framerate bump. All of that will, of course, depend on the ability for developers to optimize for the hardware, but with Microsoft using a more typical unified RAM system, the Xbox One X is more PC-like than ever, which should make porting games easier too. While the Xbox One X will be able to take advantage of 4K streaming on Netflix or YouTube, until ultra high-speed internet becomes more commonplace, a 4K UHD Blu-Ray player will be a necessity for those who want to take full advantage of their 4K TV. While that means buying a player, if you can have that bundled with a console upgrade that also lets you take advantage of 4K gaming, all the better. Like the Xbox One and Xbox One S, Xbox One X will support Microsoft’s own in-house developed, HRTF, as well as bitrate passthrough for audio and features Dolby Atmos support for those of us lucky to have such a setup. Since both the 4K Blu-Ray player and high-end audio solutions are available in both the Xbox One S and Xbox One X, it seems that either console will be an excellent addition to your home theater setup. Although it’s less marketable without a number, High Dynamic Range (HDR) is the other major display technology that hardware manufacturers are using as a reason for consumers to upgrade and the Xbox One X comes with full support. This allows the system to work with displays that support HDR to display a wider range of bright and dark lights, usually with the help of OLED or local dimming. Explosions look like real fire, and shadows have greater detail, in a way that is hard to explain without seeing it. That is something that the Xbox One simply cannot do, so it falls behind there. The Xbox One S supports HDR 10 only, but with compatible games and displays, it offers a noticeable visual improvement. While Xbox One X should deliver a comparable experience and likely a better one, until we hear more, it is hard to say if it will be that much better at HDR support than the One S.
Much like the PlayStation 4 Pro, it will be up to developers to take advantage of the Xbox One X’s extra power with better framerates and native 4K support. Microsoft has been steadily announcing titles that support 4K and/or HDR, and we are keeping updated on those titles in another post. In addition, Microsoft announced at E3 that original Xbox games would be coming to the Xbox One line, starting with the classic and oft-requested Crimson Skies. 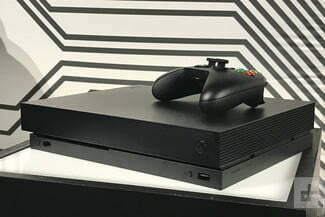 As far as game support goes, there will be parity among all versions of the Xbox One. That includes access to the backwards-compatible Xbox 360 library available on the Xbox One and Xbox One S. It is not clear if the added performance of Xbox One X will really make much of a difference for Xbox 360 games, but it is good to see that people buying the new system won’t have to keep an original Xbox One lying around just to play their older games. As expected, the Xbox One X will retail for $500 at launch. 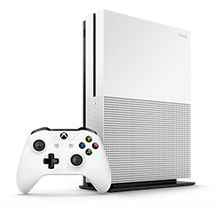 At the same time as Microsoft made that announcement, the price of the Xbox One S was also slashed to $250, putting a good amount of distance between the two products. Which one is the right choice will depend on your budget and whether you are already sporting a 4K HDR TV, or are willing to buy one. We found that you do not get nearly as much out of the Xbox One X without a higher-end set. There may not be a clear winner in the price discussion, but there is a clear loser. With stock for the original One X disappearing and Microsoft not shifting any more itself, it is impossible to recommend at this point. While viable for second-hand buyers looking to join this console generation for the first time, if you’re buying new, your options are restricted to the One S and One X. If nothing else, the introduction of the Xbox One X, the Xbox One S’s subsequent price drop and the original Xbox One’s lack of availability, it becomes clear that this three horse race is now down to two. The standard Xbox One is no longer a competitive console, which is good news for Microsoft, which it seems is planning to continue rotating through Xbox One consoles, rather than resetting the platform completely. Unfortunately, the Xbox One X still has limited appeal. Only those with 4K HDR TVs are going to see a big benefit from the $500 cost associated with the higher-powered console. For most, the Xbox One S is still the best option, and it is now available at a better price. Update 08/28/2017 – Added news that original Xbox One production has ended.